The naming of railway locomotives has often been a practice heavy with symbolism and at no time more so than during the Great War. Thanks in part to a sustained campaign in the press a wave of anti-German sentiment swept the country in late 1914. Individuals and businesses with German sounding names quickly changed them to avoid any suggestion of association with the enemy. The railways were by no means immune to such pressures. 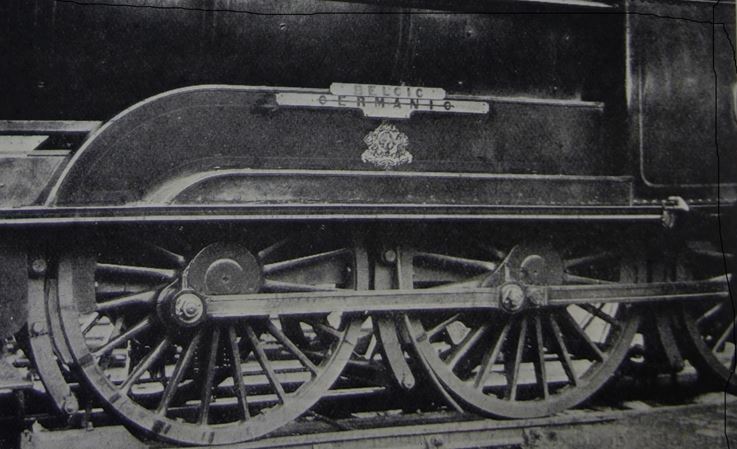 In November 1914 the London and North Western 4-6-0 (‘Experiment’ Class) locomotive ‘Germanic’ had new nameplates with the name ‘Belgic’ fitted above the old nameplates on the driving-wheel splashers. Curiously the old plates were not removed but simply had red lines drawn through them! 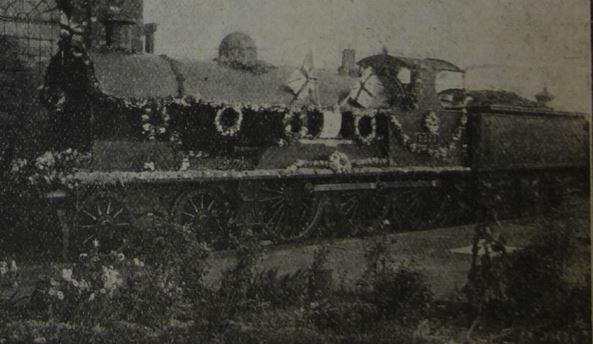 About the same time GWR ‘Star’ class locomotive No.4017, originally put into service in 1908 as ‘Knight of the Black Eagle’, was re-christened ‘Knight of Liège’ as “a fitting tribute to the heroism of our Belgian allies”. The ‘Order of the Black Eagle’ was an ancient order of chivalry in Prussia and in 1914 Kaiser Wilhelm II was the Order’s Sovereign and Master. Railway companies also attempted to do their patriotic duty in the naming of newly built locomotives. A series of ten ‘Prince of Wales’ class locomotives built by the L&NWR (London and North West Railway) in late 1915 all carried names of celebrated war figures, among them General Joffre, the Chief of the French General Staff, Sir John French, the commander of the British Expeditionary Force, and the British nurse Edith Cavell, shot by the Germans in October 1915 for helping Allied soldiers escape from occupied Belgium. The first anniversary of Nurse Cavell’s death – which shocked the nation – was commemorated in 1916 when the locomotive bearing her name was at the Rugby Engine Shops for maintenance. Staff decorated it with flowers, flags, and a sign bearing the words “Lest we forget”. The loco was parked in a siding close to the road and a collection taken from passers-by which raised funds for the Rugby Prisoners of War Fund. A further sequence of ‘Prince of Wales’ class locomotives built in 1916 commemorated ships lost in the war including the Lusitania and two of the L&NWR’s own steamships, the Anglia (sunk by a mine in October 1915 while in use as a hospital ship) and the Tara (formerly the S.S.Hibernia). See this blog for the story of the Tara. The year 1916 witnessed yet another outrage with the execution of Captain Fryatt, the master of the Great Eastern Railway steamer S.S Brussels whose story is told in this post. Fryatt was honoured in March 1917 with a Claughton Class 4-6-0 locomotive of the L&NWR named after him. After the end of hostilities the railways continued to commemorate famous figures and events of the conflict. 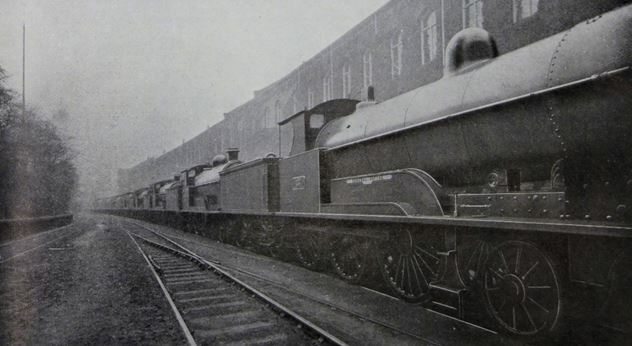 In 1919 the North British Railway gave names to 25 of their Class C 0-6-0 goods locomotives (later to become LNER Class J36) which had returned from service overseas. The names chosen included those of Allied commanders (French, Foch, Allenby, Petain, Haig) and of notable battles of the war (St Quentin, Ypres, Verdun, Arras, Somme). Some of the 25 survived well into the British Railways era. Robert is one of our First World War archive volunteers, undertaking research around our database of fallen railway workers. 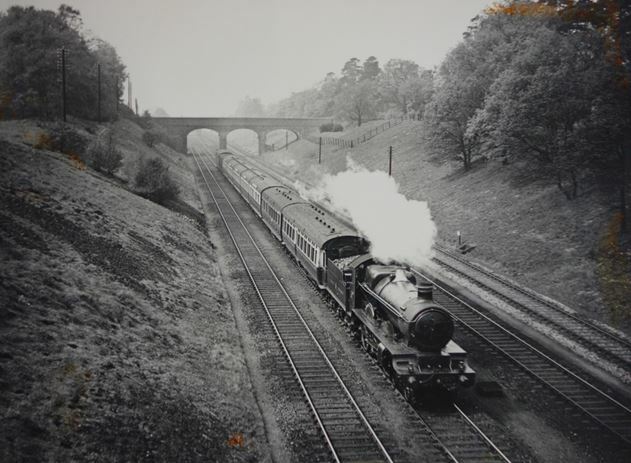 This entry was posted in Railway History, Research and archive. Bookmark the permalink.